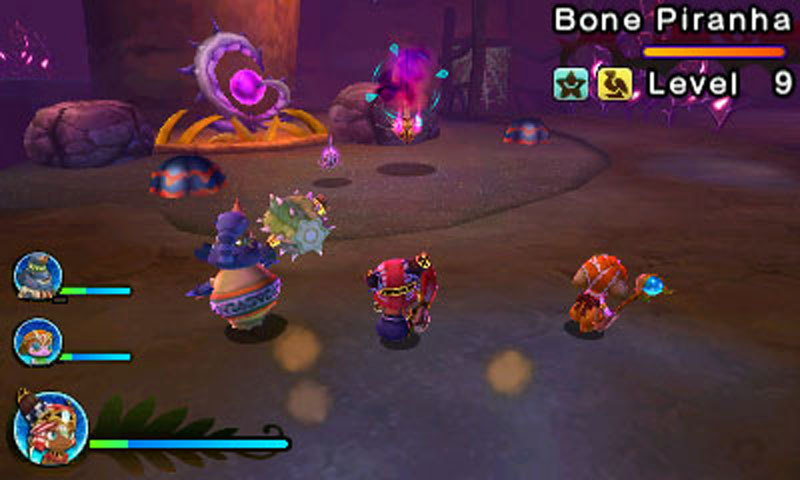 Developed by Grezzo, the studio that rebuilt multiple Legend of Zelda games for the Nintendo 3DS family of systems, and producer/director Koichi Ishii, creator of the Mana series. Offers a unique mix of oasis building and dungeon exploration. 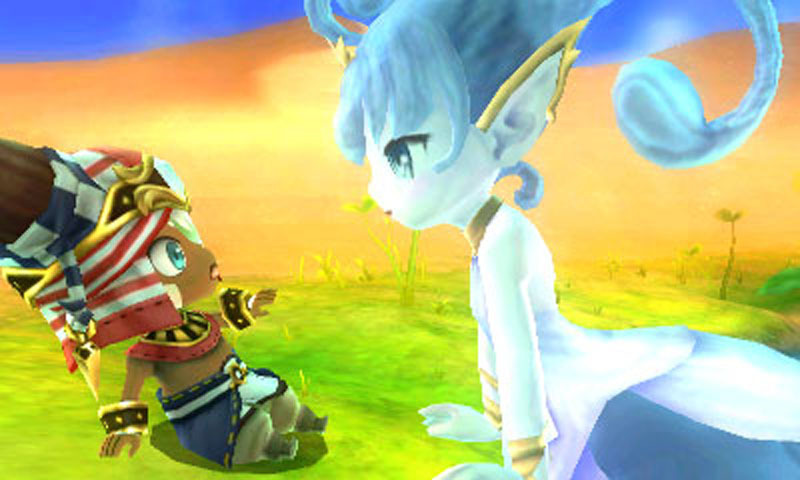 Defend the last standing oasis and help it flourish with the water spirit Esna. 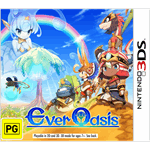 Explore a perilous desert, deep caves and puzzling dungeons. 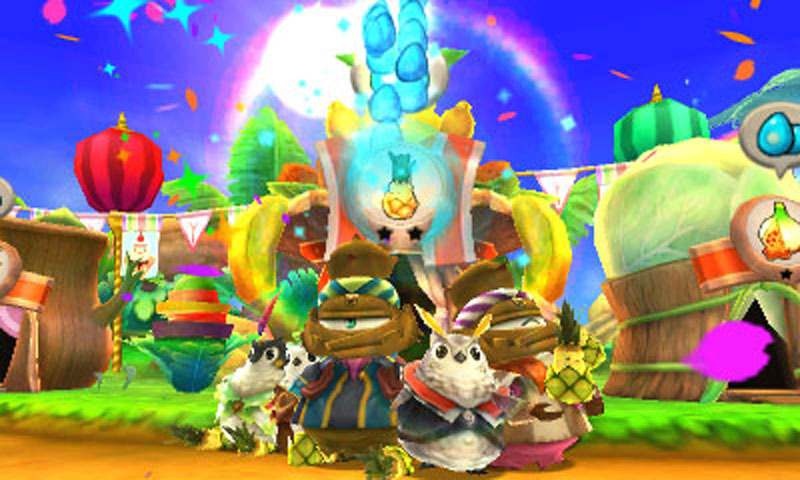 Grow your oasis by completing quests, recruiting allies and building shops called Bloom Booths. 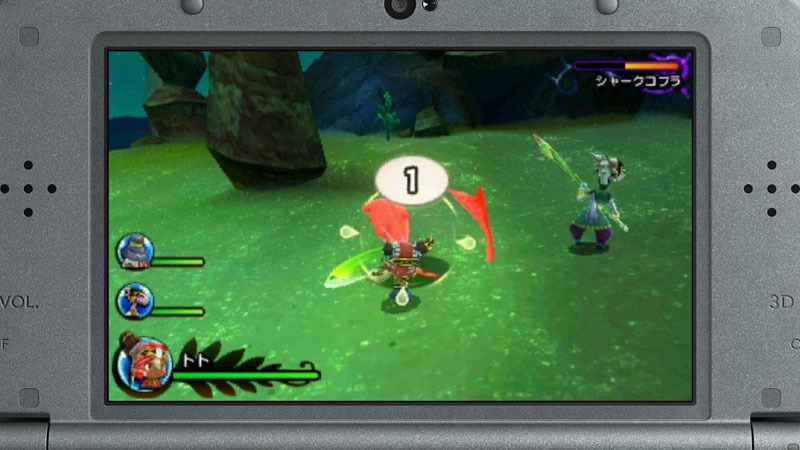 Rotate between party members with distinct fighting styles in real-time battles. 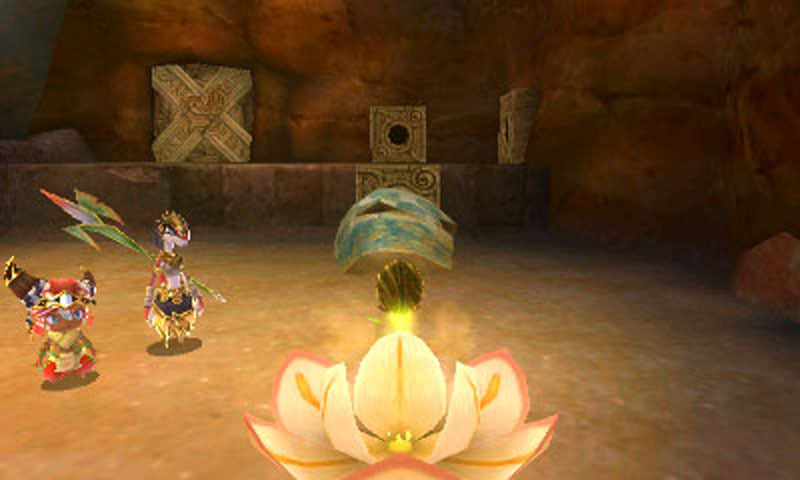 Allies have SP skills, which level up as they explore the desert and dungeons alongside of player. The desert’s last safe haven is a lone oasis you call home. 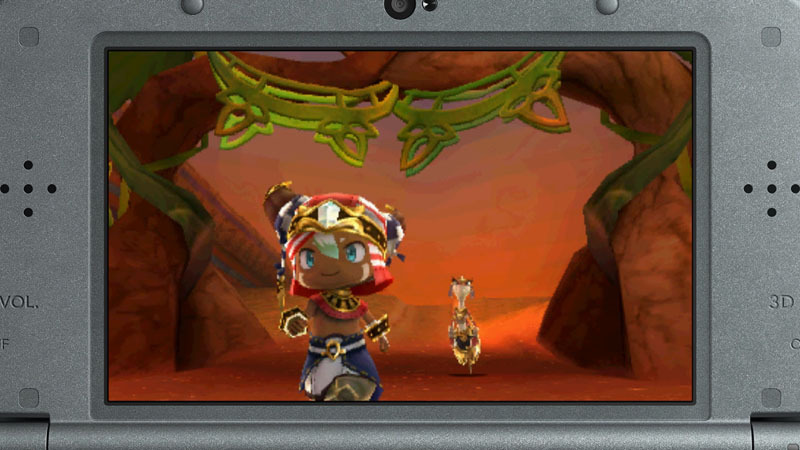 So draw a line in the sand and fight to protect it with the help of the water spirit Esna. 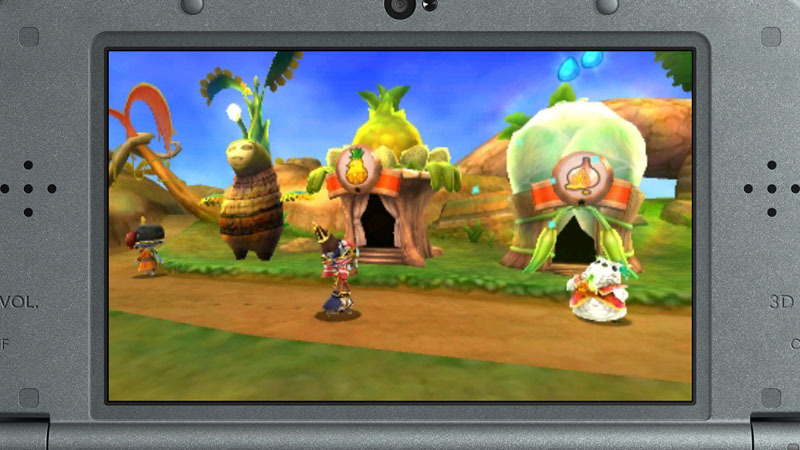 The larger your oasis becomes, the more visitors that will arrive. 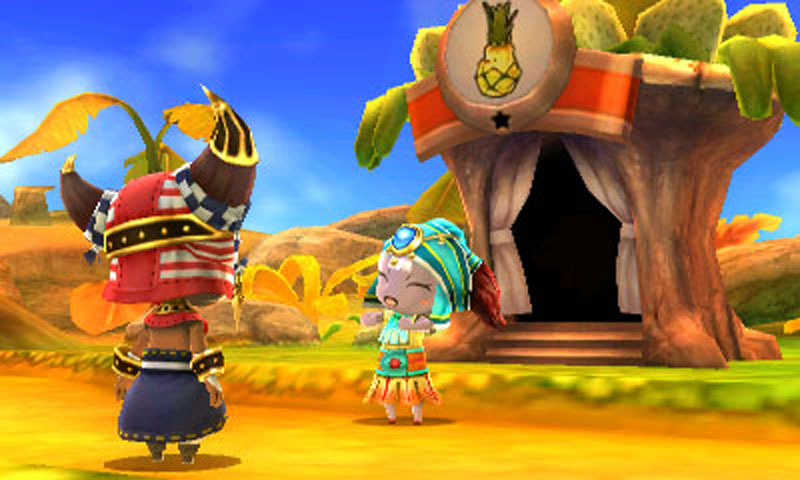 Complete a variety of quests to recruit new villagers, each with their own unique weapons and skills. 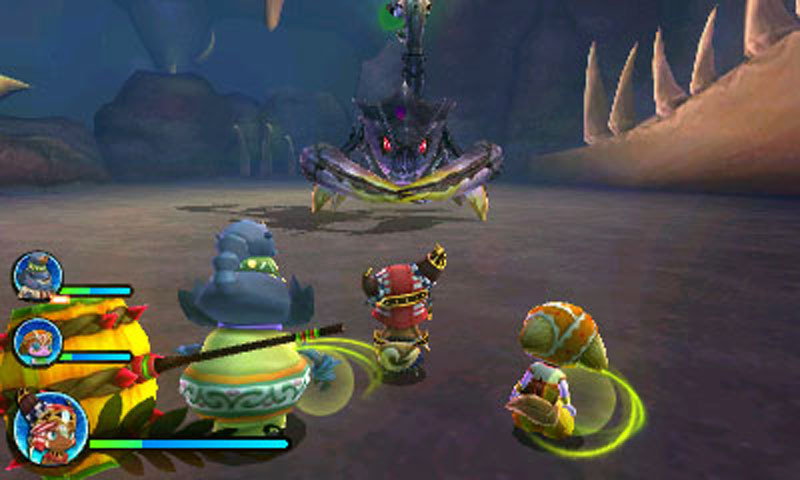 As you rotate between three party members, battle against Chaos threatening peace in the desert in real-time combat. 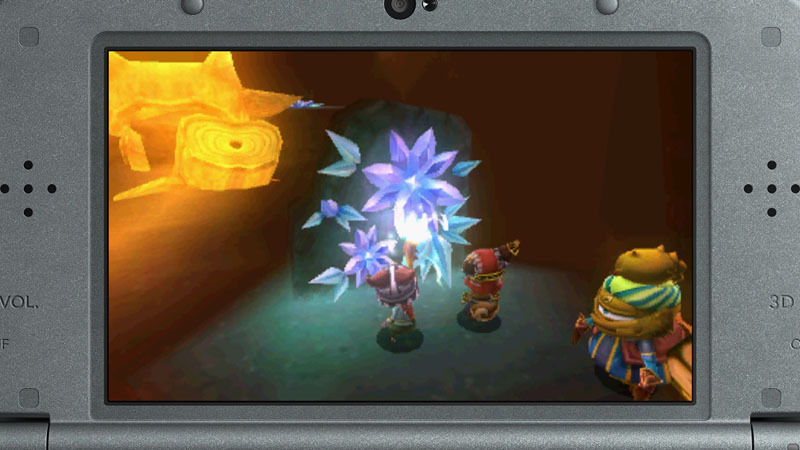 Then forage for materials in puzzle-filled dungeons, which are used to grow new shops and even gear!